Thousands of people with non-Hodgkin lymphoma and related cancers such as hairy cell leukemia, lymphocytic lymphoma, chronic kyphotic leukemia, and B-cell lymphoma have filed lawsuits against Monsanto. These farmers and consumers used Roundup never imagining that they were endangering themselves. 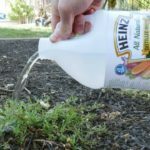 Many people remember it spilling on them, dripping from the backpack provided to aid in spraying the product on weeds on their lawns, in their driveways, and on their crops. Roundup was and is everywhere. 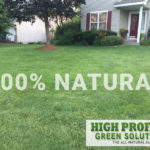 It is one of the most, if not the most, popular and best-known weed killers on the market. And farmers and consumers have used it for years. And Monsanto has raked in billions in profits. Roundup’s active ingredient, glyphosate, has been linked to many serious health issues. 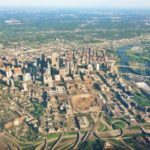 A recent study linked exposure to glyphosate with fatty liver disease in animals, findings that lead the scientists to conclude that studies of human livers should be pursued with urgency. The links to non-Hodgkin lymphoma and other blood cancers, such as hairy cell leukemia, lymphocytic lymphoma, chronic kyphotic leukemia, and B-cell lymphoma, have been found and increasingly publicized over the past few years. An Ohio study linked glyphosate exposure to increased incidences of ADHD. At least one study has also linked glyphosate exposure to liver, bladder, pancreatic, kidney, and thyroid cancer. 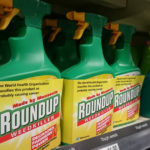 For years, scientific studies have linked Roundup, specifically glyphosate, with an increased incidence of cancer, birth defects, and ailments and health problems. In 2008, a research team in Sweden cited exposure to glyphosate as a risk factor for developing non-Hodgkin lymphoma. In May 2014 researchers at the International Agency for Research on Cancer concluded that exposure to glyphosate doubled the risk of developing non-Hodgkin lymphoma. That same month, groups in Argentina began calling for the use of glyphosate to be banned when birth defects and increased cancer cases were found in people living near where it is used on crops. In March 2015, the International Agency for Research on Cancer officially stated that glyphosate is “probably carcinogenic” to humans. When chemical companies make an insecticide, they are only required to name the “active ingredient(s).” Any chemicals in the mix that they designate as “inactive” or “inert” are considered proprietary and are not required to be listed on the product or named. Chemists have identified one of Roundup’s “inert” ingredients to be polyethoxylated tallowamine, or POEA. POEA has been found to be more deadly to embryonic tissue than glyphosate itself. In addition, there are studies that suggest that the two substances used together, as they are in Roundup, increase the toxic effect in humans. 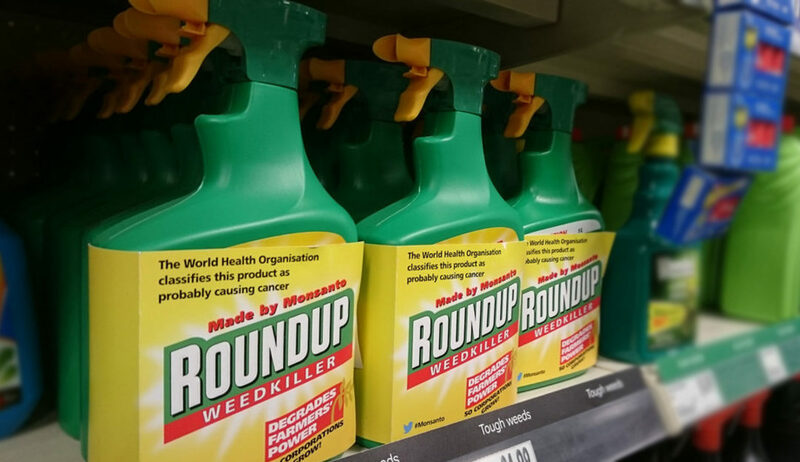 A team of French scientists led by a molecular biologist concluded that the toxic effects of glyphosate are multiplied by the other ingredients in Roundup, including POEA. 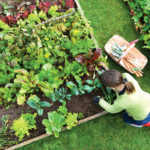 Exposure to glyphosate and Roundup’s other, “secret” inert ingredients is not limited to people and farmers spraying their lawns and crops. It is in tap water and on and in (yes in, because it is metabolized by) the vegetables we eat. It is in livestock that are fed the crops it is used on. Trace amounts have even been found in ice cream and other common foods. Its use is so widespread and insidious that amounts of it both large and barely detectable can be found in myriad places and foods.